SOLD BY :Melting Pot Concepts Pvt. 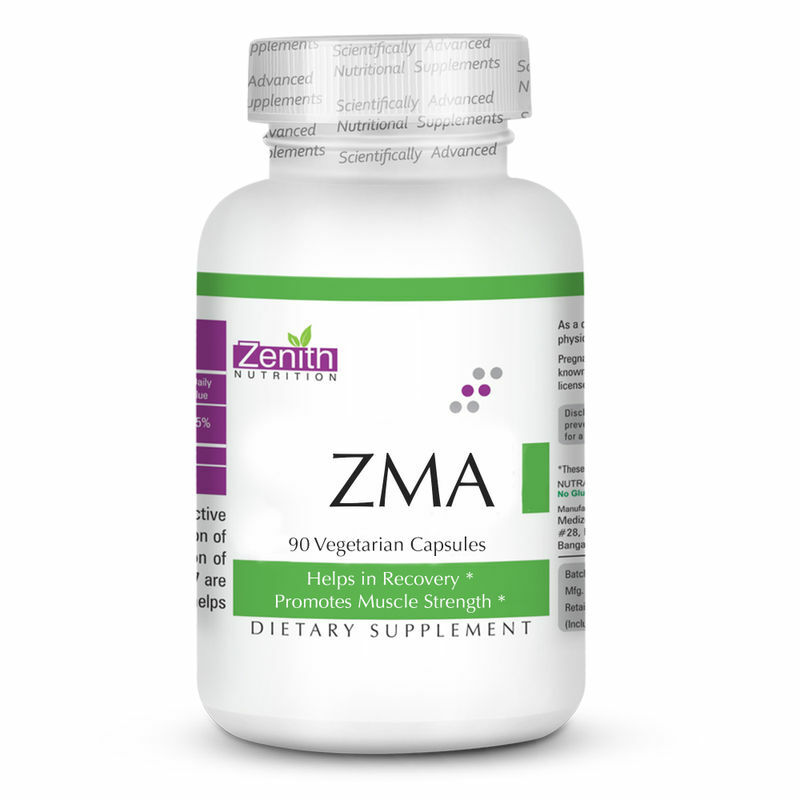 Ltd.
Zenith Nutrition ZMA is a unique supplement with three powerful for essential minerals for energy metabolism and recovery support. It contains Vitamin B6, which acts as a cofactor to an enzyme required for aspartate metabolism. Zinc in it is involved with energy metabolism. Magnesium is an essential component of the muscle enzyme creatine kinase is a vital factor in energy production and muscle contractions. With magnesium, Zinc and Vitamin B6, it helps to increase muscle strength. Name of Mfg / Importer / Brand: Medizen Labs Pvt. Ltd.